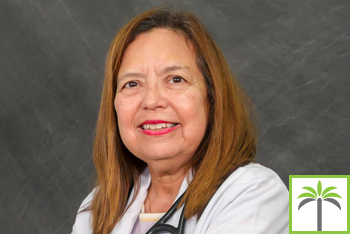 Dr. Ingrid Alcover is a highly skilled physician with vast experience in the areas of Critical Care Medicine, Occupational Health Medicine, Veteran’s Health Care, Urgent Care, Internal Medicine, Hospital and Primary Care environments. She spent most of her career in the Ohio area after completing her Fellowship in Critical Care Medicine from the renowned Case Western Reserve Hospital in Cleveland, Ohio. During this time she earned a reputation as a compassionate physician and hospitalist with outstanding bedside manner and well-developed interpersonal skills. This allowed her to easily interface and build relationships with patients, their families and colleagues alike. With over 7 articles and abstracts published, Dr. Alcover is committed to ensuring she provides high quality medical care consistent with all professional and organizational standards. She is fluent in both English and Spanish.